In this era of inflation and rising costs, city life proves to be a big burden on the bank account. Of course, you can cut back on going out and sit at home, surviving on air and water. But where’s the fun in that? Instead, we recommend you try out our list of hacks to have plenty of budget-friendly fun in the city. The Metro has fast become the city’s favourite mode of transport. You can skip the never-ending traffic jams and zip across the city in no time with the Metro. And the best part is that you can do it on a slim wallet! If you are a frequent Metro traveller, you can save on time and money by purchasing the Metro card that gives you a 15% discount on every ride you take. If you are looking for more Metro travel tips, click here. In Bangalore, you can be broke yet trendy. There’s no need to break that bank when picking up new wardrobe additions. The ladies can swing by these stores on Commercial Street to pick up from endless piles and racks of export surplus clothing from brands like Zara, Topshop and H&M. For the men, we recommend the streets of Kalyan Nagar that’s dotted with export surplus stores selling leather shoes and fashionable clothing. One of Bangalore’s oldest markets, KR Market is busy and crowded but is great when you are trying to survive living in the city on a budget. Everyday, farmers and vendors bring in fresh, local produce that you can walk away with at a fraction of the price that you pay at the local supermarket or vegetable stand. Love DIY clothing? Then RC Puram is heaven! The streets of this neighbourhood are packed with shops that are overflowing with endless bolts and piles of fabric. You can get everything from light cottons with trendy prints that can be converted into dresses, boxers, or PJs. Or you can go with traditional cottons that will make for fine kurtas. Export surplus rugs and carpets are also a great find here. Living on a budget shouldn’t mean that you bid goodbye to all the yummy food in the world! 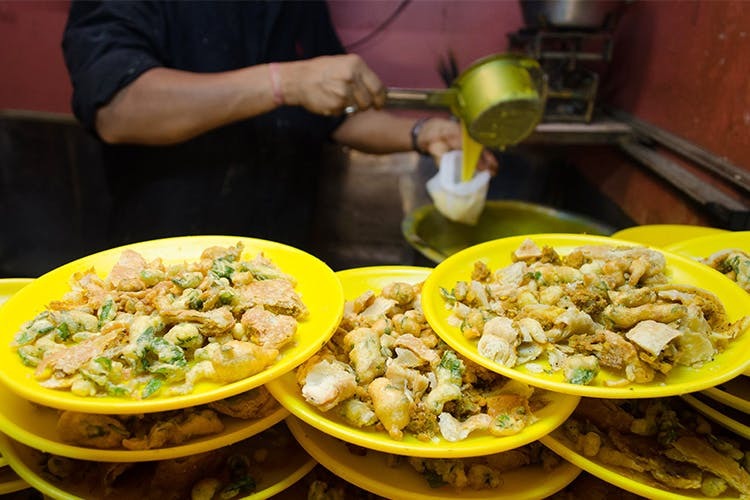 Instead of splurging on fancy restaurants where you’ll shell out plenty, simply turn your attention to the GST-free street food offerings in the city. For the vegetarians, VV Puram is great. Gorge of spicy Pav Bhaji and ghee-soaked dosas at Nagarathpet. Then, there is Johnson Market for the meat lovers and if you like to get a taste of India, do try out this thriving food street in Marathahalli. A night out on the town needn’t mean a big hole in your wallet. Bangalore has plenty of old-school pubs and bars where the drinks come cheap with no compromise on your ‘high’. Around MG Road, there’s Guzzlers and Noon Wines. Koramangala has Satya’s while Indiranagar has Peco Stones. Why waste all that precious money to to workout in a sterile gym when you live in Garden City? If your neighbourhood park won’t cut it, you can breathe in the fresh, clean air at Cubbon Park or Lalbagh. Richard’s Park and JP Park are great options too. Decor can cost a bomb so if you are on a shoestring budget, then, do up your home with cane furniture. Shivajinagar is a great place to look for bargain furniture. Close by, there’s a street filled with home essentials. If you are swinging by Thippasandra, then, do check out this imported crockery store. Designer wear does not have to mean mega bucks. The next time you need a sensational outfit for a shaadi or a big event at work, then, sign up with outfits like Liberent or rent out a lehenga from this HSR store to make a splash. Want to fill up your home with all the books in the world? No problem! Bangalore has Blossoms, Bookworm and Goobe - where you you can scour through second-hand books and take them home for a pittance.